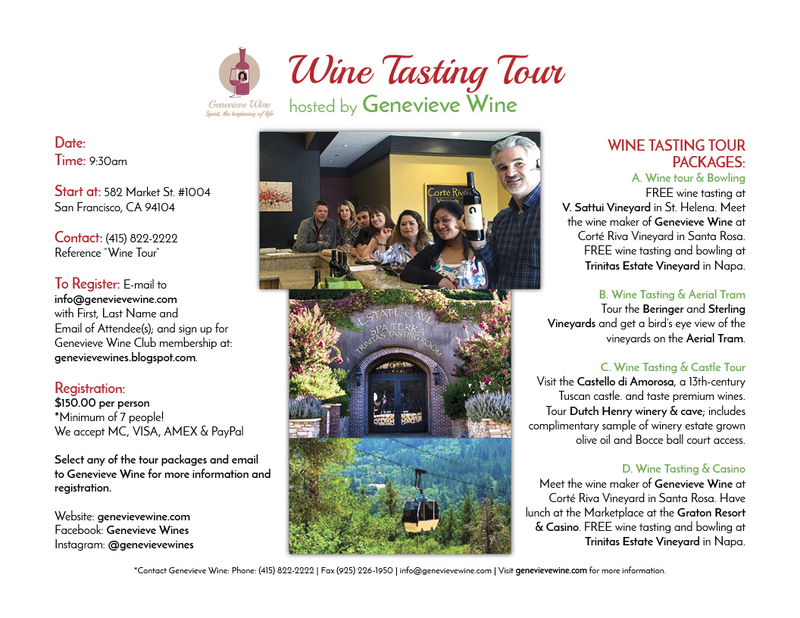 Join the Genevieve Wine Club to enjoy many pleasant wine tasting tours and more! Genevieve Wine Club annual fee is $100. Sign up for membership & tours here!